two new things in Sun Prairie to help the residents to breath better along with knowing where to go in Sun Prairie to get the healthy options in your neighborhood. 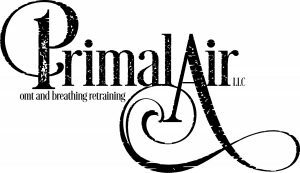 Primal Air and The Spot for Health started in March this year, Shirley steps up and introduces herself and her goals for her community. Shirley is a mother to five and grandma to two, wife of 40 years and clinician for 30. Shirley’s drive for prevention is pretty deep from being a dental hygienist. Shirley learned that we can prevent major diseases by opening the airway and affecting children’s growth patterns. Shirley founded Primal Air, LLC OMT and Breathing Retraining in March with her 4th child Phillip. During advertising for Primal Air, they went to the local TV station KSUN to see if there is a show where they can talk about Primal Air. They found there really isn’t so they decided to start on for the community, letting them know about the health options in their back yards. KSUN is Sun Prairie’s Public, Education and Government (PEG) channel. In serving these community interests KSUN airs a variety of programming. Show by and for seniors. Including local government and civic meetings, high school sports, musical programs, church services and more are showcased on KSUN. Ours is the only health show!